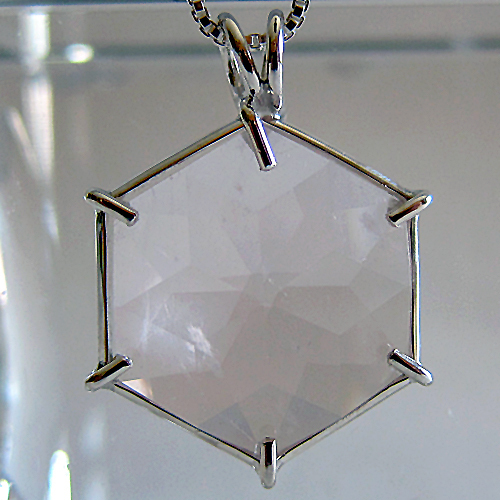 Dimensions (HxWxD): 1.2" x 0.8125" x 0.3125"
This beautiful and elegant Rose Quartz Flower of Life Pendant is a faceted cut from the Tools of Evolution Line of Jewelry, cut in the style of Marcel Vogel. 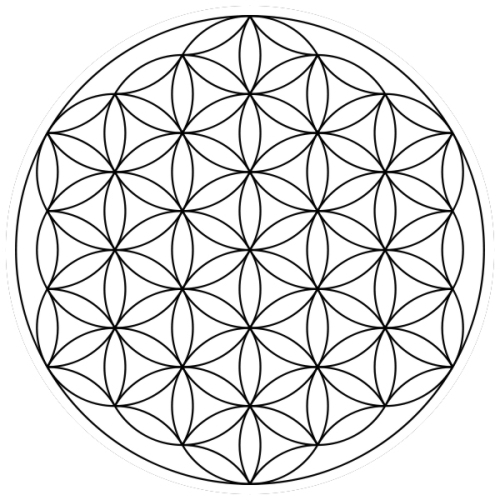 This pale Rose Quartz Flower of Life is extremely translucent carrying the hue and energy signature of the rosy ray. 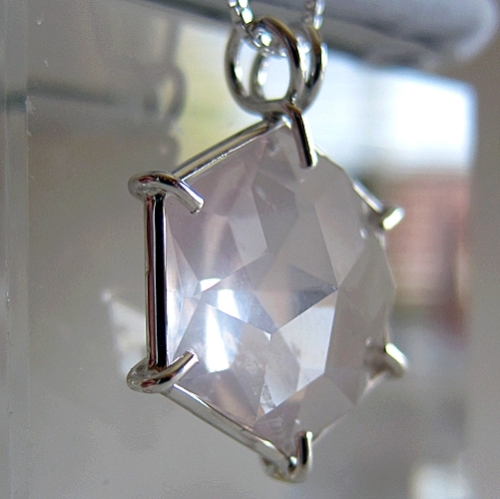 The Flower of Life pendant is a unique flower-like 12 pointed star in a sterling silver setting which shows its luminous quality and allows the stone to breathe. It is on a simple sterling silver chain which allows it to hang freely right at the thymus between the throat and the heart chakras and comes in a velvet pendant box. Rose quartz resonates energetically with the heart chakra, which is associated with the color pink in the Western chakra system. Note: weight above is shipping weight. Net weight is .25 oz. Each piece is unique and may vary slightly in appearance. Each piece is guaranteed to be beautiful and to meet with your complete satisfaction!